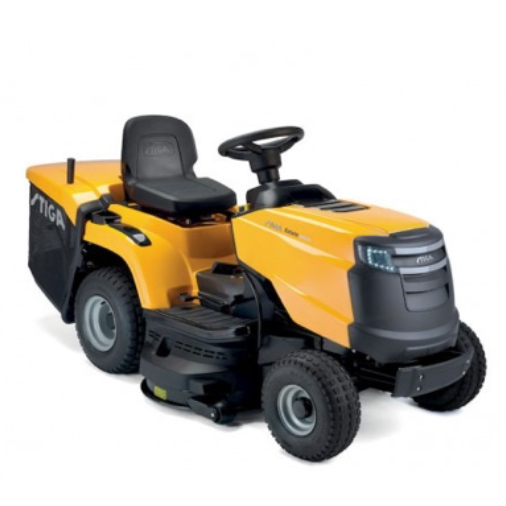 The Stiga Combi 1066 HQ is an extremely compact, collecting lawn tractor providing full visibility of the working area and a narrow turning circle for ease of use and is particularly suitable for small gardens. It features the 3 functions in 1 cutting system, allowing you to collect, side and rear discharge or mulch to perfection. The Combi is the ultimate choice for the garden lover, offering a comfortable ride with a smooth hydrostatic transmission and ergonomic seat design. You and your garden deserve it, don’t you?